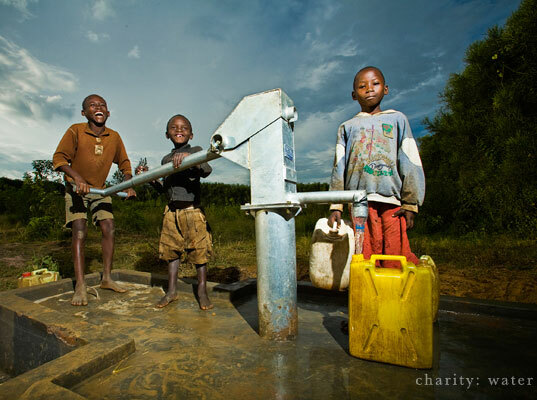 As far as groovy philanthropic endeavors go, TOMS Shoes and Charity: Water have been making ripples in the social-responsibility sphere since Day One. Get set for another giant splash—this one’s a doozy!—because the two companies have joined forces to launch the TOMS Shoes for Charity: Water collection, two limited-edition shoes that will raise money to build a clean-water well in the village of Sekura in Northwest Ethiopia. A hand-dug well will go a long way to providing clean drinking water to Sekura’s 540 residents, who lack ready access to a safe supply. Retailing at $58 per pair, the two vegan-friendly TOMS Shoes for Charity: Water styles are made from hemp, recycled PET, and recycled EVA scraps. Plus, they’re ultra-exclusive: They’ll have limited availability only for as long as it takes to fund the well. The limited-edition collection will raise money to build a clean-water well in Ethiopia. 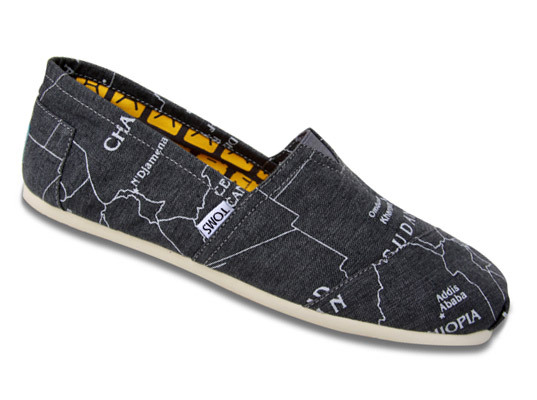 Everyone who purchases the heather-gray Map shoe (which features a tonal map of Africa and a jerry-can lining) or the bright-blue Water shoe (multi-tonal water illustration) will receive details on how they directly contributed to building the well, the impact it has on the lives of the villagers, along with photos of the completed project. As always, with every pair of shoes you buy, TOMS will donate a new pair of kicks to a child in need, meaning that your one-time contribution has twice-as-nice of an impact. As far as groovy philanthropic endeavors go, TOMS Shoes and Charity: Water have been making ripples in the social-responsibility sphere since Day One. Get set for another giant splash�this one's a doozy!�because the two companies have joined forces to launch the TOMS Shoes for Charity: Water collection, two limited-edition shoes that will raise money to build a clean-water well in the village of Sekura in Northwest Ethiopia.